In spite of the fact that they are nearly everywhere and are also relatively large, the spotted salamander is something hard to find. They can grow to be about nine inches long and are very prevalent in the deciduous forests from Canada down to southern and mid-western United States, but they are quite good at hiding and at blending in. They are secretive litt6le guys, spending most of their lives hiding under logs, rocks or in the burrows that are made by other forest animals. 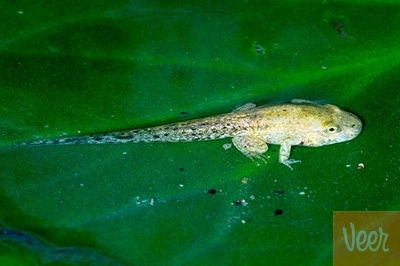 You can find them in upland forests, and in the mountains but most often they are seen in lower lying forest areas, near water sources or floodplains. 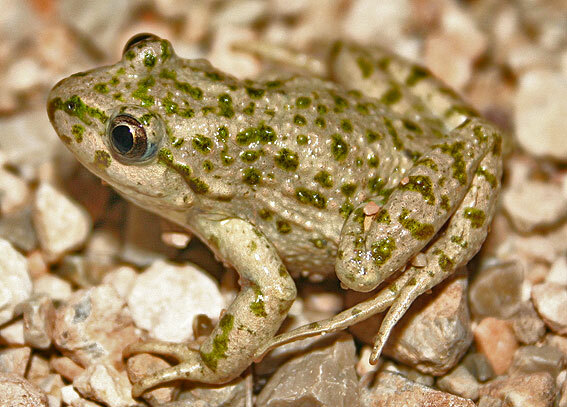 They come out of the burrows or below ground hiding spots at night only, to feed and when they mate in the springtime, and will travel very great distances to mate and lay their eggs in low pools and ponds. Their colors are very striking, these thicker salamanders are bluish-black with two rows of yellow or orange spots extending from head to tail. 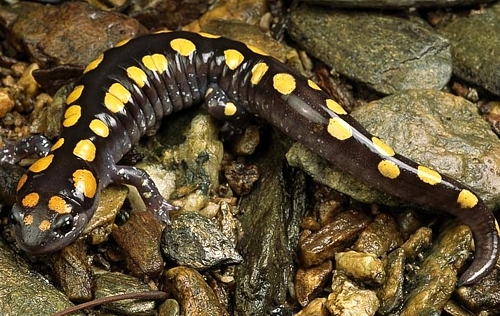 The Spotted Salamanders diet includes insects, worms, slugs, spiders, and millipedes. Spotted salamanders’ numbers are stable throughout their range, and in fact they are more than prolific, but they are very sensitive to changes in their ecology, so that when humans take away their environment or remove vegetation it does affect the population.. So too does the rising water acidity in certain habitats , which is negatively affecting their population. Pet trades also takes a toll of these small creatures. Where did you obtain this image of the spotted salamander? You get them in the thickness of the deciduous forests in wet areas mostly under logs and wet muddy areas.